E-Z Spray Handle. 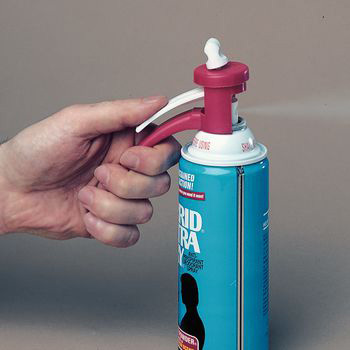 Lightweight but sturdy plastic adapter for most household and personal care aerosol cans. Large handle and adjustable trigger make spraying simple. Easy to change from can to can.